Steve Hoogenakker "Audaces Fortuna Juvat" - "FORTUNE FAVORS THE BRAVE!" Teri, in her natural state, Paul, who still looks up to Teri and me sporting a little attitude. I want to slap that smirk off my face! Teri’s dad, Don has a certain way around small kids. Whenever a toddler or baby was crying, no matter where we were, Don could take the baby up in his arms and within a matter of minutes, the baby was quiet and usually asleep. I asked Teri about it once because she had that same ability. As most of you know, Kids loved Teri mama, just like they love her dad, Don. It turns out that Don passed the secret on to Teri. Not so much a secret as an understanding. See, what they would do is cradle the baby’s head in the crook of their left arm and tuck the baby’s right arm under their left arm, so the little one’s arm was pressed against Don’s ribs. That wasn’t all of course. The baby was held VERY securely and tight. He couldn’t move. Don’s right arm flexed and making contact along the entire length of the baby, a little rocking and shhhh’s and it worked like magic. As I think about what could have been different over the last year, there was one thing we never did. We both knew what to do, but because we were always honest with each other, I know we both felt like doing this wasn’t in tune with our ne’er said honesty pledge, but sometimes we have to fake it til we make it. What’s the one thing? Teri and I BOTH needed to be held by each other every once in awhile VERY tightly with full body contact and whisper into each others’ ears, “Everything is Going to be Alright” over and over and over again. Maybe til the other fell asleep, or their breathing slowed and deepened. Wow! Simple, powerful, an eternity of comfort with a few words. Why we didn’t take the few minutes to do this, when it would’ve provided comfort for an eternity, I don’t know. Does the statement stand up to scrutiny? No! Does it stand up to logic in the face of certain death? No. Can you then follow up with questions and doubts? No. Don’t lessen the magic, there will be plenty of time for worry. Just be engulfed by the glow of the moment and let your comfort work it’s way deep into your loved one. Or harder still, to calm the inner child inside of yourself, and not to squirm, as you are the one accepting of the love and comfort. You Never Lose the Right to say Everything is going to be Alright to the one you love. Anybody who knows me, knows I’ve been a little obsessed with Hummingbirds for years. They are amazing. They’re one of a kind. I’ve been working on a hummingbird logo for a long time. I was sharing some of this with my good friend Becky Thielsen and sent her a picture of my new logo that just got installed on 10 or 15 trucks last week. I’ve probably re-worked this logo a million times. She says “You know the link with Hummingbirds and Melanoma don’t you?” I said no, then she sent this story. Turns out The Hummingbird is the symbol for the Melanoma Foundation. Kinda Cool, I know everybody in Mpls-St Paul will see more hummingbirds on the roads than they have ever seen, I’m just hoping to see one hovering near me, unafraid! When Jason entered our garage he found a beautiful hummingbird frantically and determinedly beating against the clear glass windowpane in a vain effort to escape to freedom. Instinctively, drawing on his close relationship with nature, Jason put out his finger as a perch for the hummingbird. To his surprise, the hummingbird responded by resting on Jason’s finger and remained there until Jason carried it out to freedom. In the ensuing years, Jason developed melanoma and fought a courageous battle against the disease with surgery and difficult bio-chemo therapy. It appeared that his battle was successful and he and Carly were married with all the dreams and hopes for the future that young people have. But his battle was not over and the melanoma recurred and Jason lost his battle. A few weeks later, as I sat on the patio stricken with grief from my son’s death, a hummingbird flew in front of me and hovered in front of my face for a few seconds. A few days later, while visiting at a friend’s house, a hummingbird again hovered in front of my face. 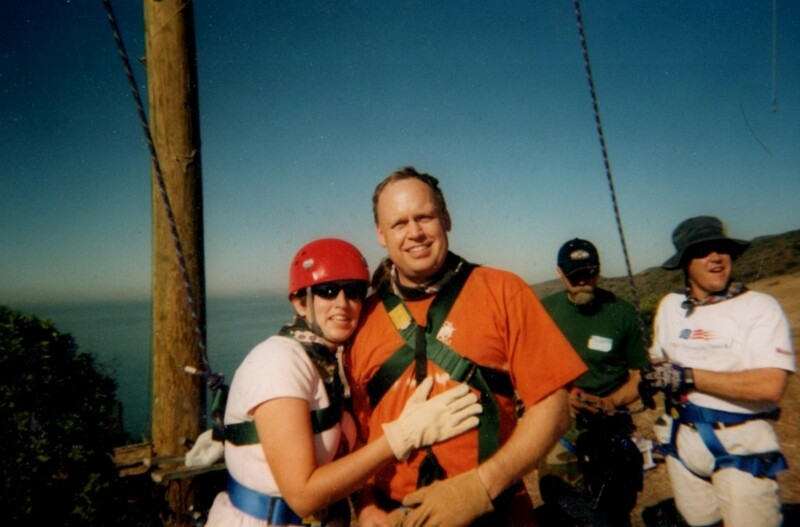 Sometime later, Jason’s wife Carly was visiting his gravesite, the first time she had been able to do so. She knelt and wept in her grief and asked Jason to give her a sign that he was OK. Just at that moment, a hummingbird flew up to her and flew in front of her. I cried as Carly related this incident to me and I recalled Jason freeing the hummingbird in our garage. My crying brought my husband, Ilan, to my side. He had come in from the patio where he had prayed to the heavens for a sign to help me in my struggle with Jason’s death. At that very moment, a hummingbird came on the scene and fluttered before us and a shooting star came across the sky. I know now that somewhere Jason, whose wonderful smile always made a room light up, is alive, happy, and well. He is greatly missed but I feel him all around me and I find solace in these events. I pray that my story will help all those who have lost loved ones and those who are afflicted with melanoma to find solace. I shall always look upon hummingbirds with love and affection and think of them as the “Wings of Hope”. I received one from a person in a lot of pain who said we could try to tell people what grief feels like, but we can’t put it into words and I could try, but it’s a waste of time. He finished with good luck, and I believe he meant well. He also taught me something. When it comes to soaking rains and their effect on plants and streams, there’s a funny characteristic. You’ve heard of flash floods, we even witnessed one in Las Vegas once where something like 1/3″ of rain fell and the streets were really flooded. If you’ve been to Vegas, you know its A) Flat and B) Sand EVERYWHERE, plenty of places to soak in. Rain always soaks in better if the soil is already damp, and always runs off if the soil is bone dry. So when I thought of this young mans mail, I realized that grief mentioned is unintentionally preparing the person to receive the hope. That people in different stages of stress/hopelessness or grief let 100% happy thoughts roll off like water off a ducks back. Gotta be realistic if you want to help somebody. I’m thinking Barney’s song is 100% happy, but I’ve been tempted to throw the tv through the window, even when I’m in a great mood! But I took his comment to heart. It’s been bothering me, wondering if expressing my grief and ultimately hope (is the goal)in this fashion is worth the effort and helping anyone. Then I remembered this story from one of our Rapport Leadership weekends. Some of you have heard it I’m sure, but it’s in the spirit of the story itself that says to me, if one life is eased a little, WHO AM I to say, stop trying? Approaching the boy, he asked, What are you doing? The surf is up and the tide is going out. If I don’t throw them back, they’ll die. Son, the man said, don’t you realize there are miles and miles of beach and thousands of starfish? You can’t make a difference! 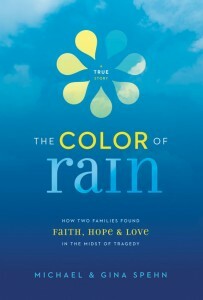 One of the most important blessings was a book I discovered right after Teri “Stepped on Heaven’s Shore” The book is called “The Color of Rain” How two families found Faith, Hope and Love in the midst of Tragedy. Specifically cancer. In my case, especially the chapters 19 and 21 were almost identical to what we experienced. When I borrowed the book to my daughter, I told her to be alone and not have to go anywhere for an hour when she got to them. Those chapters ripped out my heart, stomped on it, then ran over it, backed up and ran over it again, but it was cleansing and I listened to it more than once. After that, the second half of the book continues the true story that gave me hope of a future for me and the kids. The book just came out in October, and there’s hints that it’ll be made in a movie. If you get a chance, here’s the youtube video of the story. It’s just 3 minutes long. I bought the book on AMazon for $12 and I also bought the audiobook so I could listen while working out. I liked the audiobook better because it was read by Michael and Gina and I could hear in their voices the things I was experiencing. Bless You, and let me know if I can help you in any small way. The Color of Rain by Michael & Gina Spehn was an amazing book. As silly as it may seem, I’m one of those that are attracted (or not attracted) to the cover of a book. When I first picked this book up the colors on the cover were very appealing to me. Don’t get me wrong, I love to read; however, I rarely have the time – so little things (like the cover) are important. Throughout my life, I have enjoyed all types of books but I have always loved when it’s a true story. They seem so real, so raw and regardless if it is a good story, a sad story or any story – it could be your story. The Color of Rain touched me emotionally because I lost my dad from cancer when I was only 12 years old. The authors were great at painting a detailed picture and it was as if I could see what was happening as I was reading. It was a hard book to put down and I could have read it in one day if I didn’t have a family that needed me. I definitely recommend reading The Color of Rain. This real-life Brady Bunch story is about what it means to endure the unthinkable—and still open one’s heart to what’s next. When two childhood friends die of cancer six weeks apart, the shared experience of loss brings their grieving spouses together. After months of late-night phone calls, family dinners, and countless dreams and tears, this unlikely pair builds a trust, a love, and a shared life. Told from alternating points of view, The Color of Rain illuminates the stepping-stones of healing that lead to a joyful new beginning for Michael and Gina Spehn and their five children. Like many who grieve, Michael and Gina had to choose to hope again. Along the way, they discovered that God can restore the darkest circumstances—and even from death, He can bring new life. Michael and Gina’s gripping story of “growing new hearts” will inspire readers not only to survive loss but also to receive the new courage, faith, and identity that God gives in the midst of tragedy. This picture was taken a LONG time ago, but in a testament to family and friends, most of these people made it to the hospice from everywhere to see Teri off! Ok, we might have been just like you. For us, after fighting melanoma for 4 years and beating the damn thing back time after time, our opinion of hospice was “I’m giving up”. There was no way my gentle wife, fighting this like a real S.O.B., was going to give up, not one ounce, period. She was barely over 50 yrs old, too much life to live. So, when we had a turn for the worst, and she was really unable to communicate with me or her family, I had to make the call for her, a call that would determine the life of my Teri and affect the lives of the 1000 or so people she knew or was on her caringbridge site. I have to remember that when Teri was pregnant with Gerrit, at about 35, they wanted to do all these tests for downs, spinobiffida and a host of other potential problems so they could abort if necessary. Teri wouldn’t do the tests. When I asked why, she said that however the baby turned, out, even in bad shape, it was destined by God and it was our burden to bear. So, why do the examinations, she said, we are having this baby! Ok, I don’t remember for sure, but I’m guessing that me, the doctor and the nurse were all getting “The Look” from my wife. Remember The Look, we’ll spin back around to this at the end! Now I’m scared to death of “The Look” and wouldn’t cross it for anything, but the doctor and the nurse got the message too. No tests, by God, we will make whatever is coming work. So I had to make the call to go to hospice. It felt surreal. I didn’t understand what it was, but there was really no way for anyone to explain. 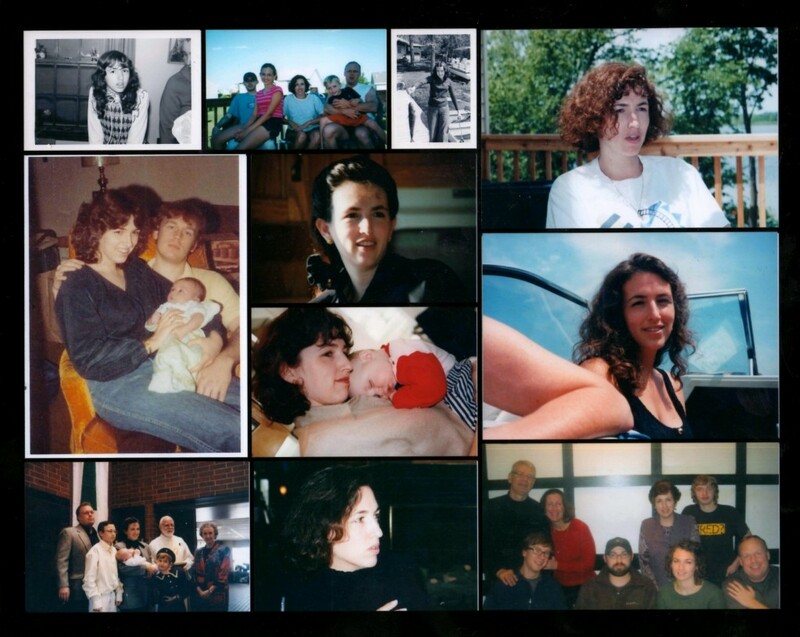 My wife completed her life after just 2 days of hospice, mostly unconscious. Her family is from a small town 250 miles away, but we took over the hospice which had just 6 patient rooms. There must have been 30 or 40 of us there that first day. They found beds, sleeping bags, carpet, whatever. There was food there for everyone, but as an italian family, We spent hundreds on food for everyone, staff too. We made meals in the kitchen for us and for the staff, and we loved my wife every single minute she was there. Let me repeat that. We LOVED MY WIFE EVERY SINGLE MINUTE SHE WAS THERE, EVERY… SINGLE… MINUTE! Ok, tears starting now, she got nothing but love those last two days, me, her best friends, (well I was her best friend too), her parents, her siblings, her neighbors, her kids. None of this would’ve been possible in the hospital, as brave and as wonderful as they were in Waconia. The poking, measuring, and every other intrusion was no longer inbetween her and her family. When we got to Marie Steiner Kelting hospice, I was taken to a private room where a nice person explained the procedure and had me sign a no resuscitate statement and a no care or something like that statement. How do you sign something like that when you remember your wife protecting her unborn baby against even the notion of giving up? I slept next to her that night, on a cot, holding her hand most of the night. Talking to her, caressing her, praying. The nurses coming in a couple of times to administer medicine under her tongue. One of the most powerful things I”ve ever seen is the love administered by Mary Carol Emanuelson. Rubbing Teri’s hand saying, It’s ok to go Baby, we’ll be ok, It’s ok to go, let go, you left us in good hands, go, rest, peace..Let go, we will love you foreverm we’ll be ok. Me and Steve will make sure. That’s pure love, and not seen enough in the world. I had been with her alomst 51 straight hours, but decided to drive 25 minutes home to shower and grab her things. I just walked in, when I got the call from Jon that she had passed away. Racing back to the hospice, I collapsed on her when I saw her. The people at the hospice said this happens all the time. The spouse leaves and the patient is waiting to save the spouse the experience of their last breaths on Earth. Even today, 9 weeks later, I was grateful I wasn’t there for those last few minutes. If anybody tries to tell me what happened the last few minutes, I would vigorously shake my head and say NO, I don’t want to know. It’s bad enough I have to remember her the last week or so, at least give me the fantasy that she died peacefully with a smile on her face. So, what do you need to know about hospice? The one question that haunts me today is what was happening to my baby? When her breathing was difficult and she was taking double breaths, what was happening, when her body was burning up what was she feeling?, When she was groaning and waving her arm at me, what the hell was she experiencing? Could she hear us, were we there for her or just for us. ASK QUESTIONS – EVEN HARD ONES. Don’t be overly polite like me. Ask the questions, they really do want to help you, but they don’t know what you need and they don’t want to smother you. Since her passing, I have slept with her urn, I have laid on the floor where she fell, crying, with Teri saying she didn’t want to go back to the hospital, I can get up, I can get up, don’t send me to the hospital. Dammit, she had a friggin broken hip. The doctors couldn’t even believe she was able to get onto her walker. I have never been so mad? I don’t even know what it was, but I should’ve been calm and comforting and I was anything but. I have that area in our bedroom laid out(in my mind) like a chalk mark from NCIS. I lay as she did, asking her to forgive anything I ever did. In my case at least, she hasn’t been back to visit me. I hope I get to see or hear or someday. She hasn’t said anything to me and the best way I can explain it is that I am in a dark tunnel opening up into a large underground cavern with no light. There is light at the tunnels entrance from where I came. I yell into the cavern, “Teri, are you there baby?” but not only do I not hear anything, but the creepy thing is there is no echo, the silence deafening, the silence absolute. It’s like the darkness swallows everything. So, what do you need to know about hopsice? It can be the best healing decision you can make as a caregiver for your distressed loved one or your surviving loved ones. It was for us the most positive experience of the last few weeks. Spend the last few hours/days together, talk, express, cuddle, caress, because when the time comes, the cavern can be cold, dark and worst of all, in my case silent…..
Of course, it could be that Teri is giving me “The Look” AND “The Silent Treatment”. Even though I was afraid of that all my life, If I knew she was doing that to me right now I’d be the happiest man on Earth! Fallin’ is a many splendored thing. I still remember the first time I saw Teri. She was in a room that spanned the mens/women’s dorms. She was sitting on the window sill with her feet on the heat register. 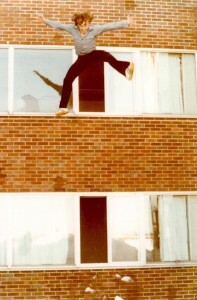 In what is an impossible coincidence, the picture that Debbie sent with me jumping? I believe the window to the left of me in the pic was exactly where she was sitting at that first encounter. As soon as I saw her, I said to myself, I’m going to get to know her. Fallin’ in Love at First Sight? I don’t remember ever feeling that way before or after, well except for Charlize Theron as Keanu Reaves wife in “The Devils Advocate”, that could’ve been Love at First Sight too, but good thing I didn’t start dating Charlize because later she did Monster, where she played a serial killer (Shudder) and I became a nobody. Those Hollywood marriages never pan out anyway. 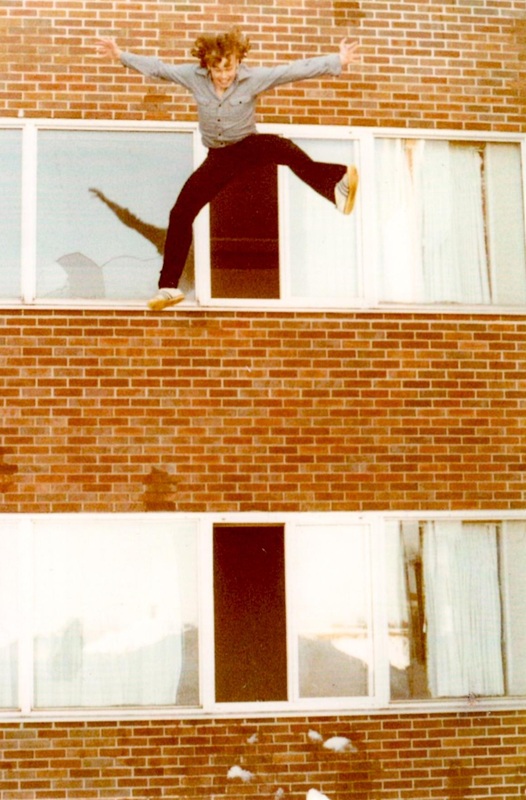 There was no way to know that our next chance meeting would happen because someone pulled the fire alarm, and everybody went to the student community center or some other room that sounds like a communist utopia, where JoAnne and Teri saw me eating Peanut M and M’s and drinking grape pop and thought it looked like a great combination. I was thinking Teri and I looked like a great combination. The only other combination that was better? That was when somebody stuck their chocolate bar in somebody’s peanut butter or the other way around, the debate rages on. The odds were against us from the beginning. I hated school, was terrible at studying and moved back to the cities. Teri stayed in Duluth, but we hung in there. Fall in love we did. Fell head over heels. Then we just got through the 3 stages of marital bliss. The first stage, 15 years ago, where I got the guys operation You know, the one where you find a new purpose for 13 bags of frozen peas? To be fair, it should be mentioned that after Gerrit was born, Teri stated with “the look” that the familys population would absolutely remain at 5. Ok, I thought, no big deal, but after it sunk in, I realized that if she got pregnant again, I would be the odd man out in more ways than one, so I made a doctor appointment right away. Then the next stage of marital bliss, the 10 years since I’ve had to go to the store to buy anything labeled “Supers” or “For Heavy Days”. Finally, the last stage, the last two years where I didn’t have to go to the store to figure out what saline solution to buy or other gross eyeball things that I don’t want to think about. And by the way, what’s up with cotton balls anyway? I can’t remember ever using cotton balls. They’ve always been here, there’s still a bag, but unless I feel like coloring the Easter Bunny for my grocery stores contest and need a puffy ball for a tail, I think they may go bad. Then about the same time, 2 years ago, came an all new meaning for the phrase “terrorist cells”. You might be thinking of 9/11, but these terrorist cancer cells went rogue on Teri’s leg. They decided to wear masks, make videos, run through obstacle courses and make a weapon of mass destruction. Then exploding said weapon, with the blast radius of about 1600 miles, killing Teri, themselves and hurting all kinds of innocent people. I wish I could have negotiated with these terrorist cells of cancer. I would say, C’mon guys, you realize if you succeed, you’ll just kill yourself? But NOOOOO, they had to do it their way. It looks like a very long 20 years ahead for me. But there are a couple of bright spots. They say that 50% of marriages end in divorce. Hmmmmmm that means the other 50% end in death! Why is that a bright spot? Well when it comes to Fallin’ I got the chance to Fall in Love, and a blessing in the wake of tragedy, an amazing twist, I never had to fall out of love. New: Please leave a comment below! You’re probably saying, there’s no way someone can link pregnancy with mangos and bananas. When you’ve been a caregiver for awhile, a single parent and a survivor, you can do damn near anything, so here goes, you can tell me if I pulled it off or not! When women are pregnant, they “know” at least in real life. On TV, there’s the show “I had a Baby and didn’t know I was pregnant on the Womens network, or in movies, there’s the beautiful single person, throwing up at 9 am at work and the best friend, interrogating her with the know it all look of “YOU ARE PREGNANT, AREN’T YOU?” The heroine of the story usually denying the obvious. Well, in a way, I’m pregnant too. I feel myself changing every day. I “feel” a change in a thousand different ways. When I walked out of the hospital, knowing Teri was going into the hospice, I remember feeling like I was floating outside of my body and felt changed. When she passed and I was speeding back to the hospice, I felt changed. Everything is different, the tv, my sleep is bad, my knees feel weak every once in awhile,(aren’t I supposed to cause that, not get it, what a wimp!) and my work production is inferior in every way My time at home is different, even driving is different. This must be the same for pregnant women, once they know too. Just like I asked Teri how she felt when she was pregnant, there was no way she could tell me what she was feeling. My personality is changing, and I can’t tell if it’s for good or ill. I mean there’s only so much the volunteers can do after a loss. I needed the miracle two months ago, but as survivors, we’ll take any miracles we can get these days, so THANK YOU to the volunteers who manage these groups, but we tend to have a sick (or practical) sense of humor. I feel sorry for people who come up to me to ask how I’m doing. I think widow(er)s should be rated like fruit. Green, ripe, or bruised all to hell, stay away. I should put a sandwich board with my ripeness rating so people know what they’re getting into, can avoid my eyes, or cross to the other side of the sidewalk! Even tonight, it changed dramatically. I was at the store, everything ok, then I came home, talked to Paul and he said that Teri was making mistakes as early as August 15th. My God, tears starting, I thought she only got bad after the leg surgery September 23rd, how could a loving husband not see the distress? Absolutely Unforgiveable. So, back to pregnancy. I feel like that pregnant woman, knowing my body, mind and soul are changing every day, sometimes every minute. I can’t explain the changes and I don’t know if they are good or bad, but like a pregnancy, I’m just along for the ride. 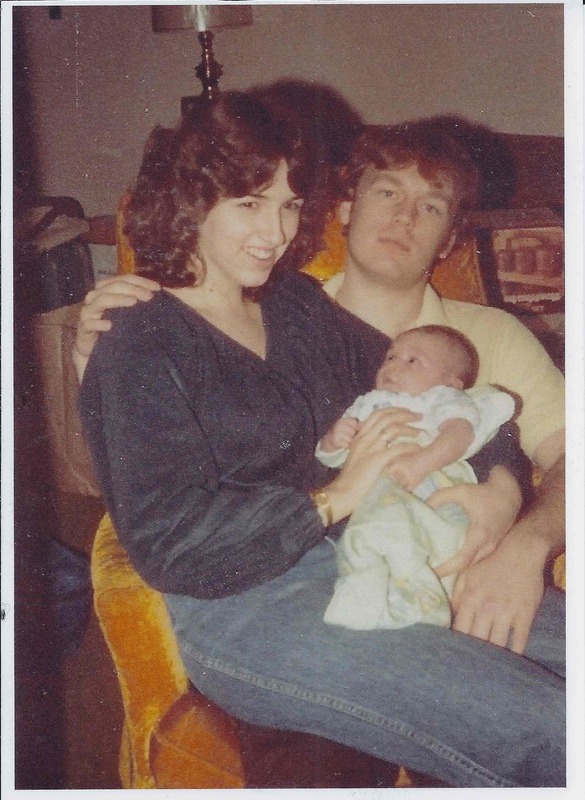 On the plus side, (ha ha – that’s a womens clothing joke) Now that I’ve announced I’m pregnant, I’d like to say that my bulging waistline has really been a cute baby bump since 1985, way before it was fashionable! As for warning your friends, tell them some days you feel like a green banana, sour and hard, other days, ripe, sweet and oh so good, and some nights, bruised and beat to heck with some imperfection in your caregiving to your loved one. Where does the Mango fit in? Well, a banana shows it’s bruises pretty quickly. You get advanced notice of what you’re getting. THat tricky Mango? One can be solid green and soft, and another can be beautifully orange and hard and there’s just this tiny time frame of when that Mango gives 3/16″ of an inch when it’s perfect. So when you come upon a widow(er), like a mango, you won’t be able to tell if they are going to be hard and tasteless, or turn to mush like an overripe mango, but know this. It turns out that us dumping on our friends, is good for our mental health, even though it scars them for life. It’s all about me! If my mental health improves, my psychiatrist will be looking for more patients, and those I’ve depressed can get an 8% discount! Ok, this starts out pretty weird, well it ends that way too, so what the heck. 2. Teri and I could never figure out why there was always half a dozen socks, with only one sock coming out of the dryer. I thought she was playing tricks on me, that rascal! 3. Now that I’m a very poor housekeeper, or Very Poor AND a housekeeper, I have scientifically determined the physics of the lost sock. — Well, first, I have to thank Alice, because none of this would’ve been discovered unless she was over one day tying to save the boys from fire or smoke inhalation. She unplugged something called a “lint trap” with a gas powered blower and an ice pick. Lint Trap? I hadn’t thought about that term in ages. See, the joke was that my belly button was a lint trap. I weighed around 260 for years and then it wasnt so much a trap as a lint black hole from which nothing, even light could escape! As a matter of fact, the only word Teri ever learned in spanish, Ombligo? Means Belly Button or in Teri speak lint trap, so it got me to thinking, Teri — Ombligo — lint trap — sock — missing — one of life’s great mysteries?? Here’s where it gets strange(really Steve, you think it just starts to get strange?) I kept lint from each load of laundry in an envelope and waited until the lint equalled one sock. 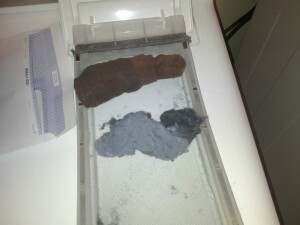 The amazing thing, is that lint equals one half of one sock per load! (I honestly have an envelope with lint ON my dryer, but at least it’s out of the ombligo, I mean lint trap. Brilliant I thought, until I realized that in every other load, there had to be a half of a sock eaten away and I don’t remember ever seeing one of those. But as Sherlock Holmes said, “When you have eliminated all of the other possibilities, the remaining possibility, no matter how improbable MUST BE the answer” So using his logic, I can now state with absolute certainty that what happens is that the dryer chooses one sock randomly every other load for termination and only lets out half the lint each load to hide the evidence! Voila, or if you’re from New Orleans, BAM! CASE CLOSED! With my satirical mind, I thought of it more like the Circle of Death. There’s a scene in there where all the animals are all walking and singing together. Maybe I watched too much Mutual of Omaha’s Wild Kingdom, but I imagined Simba reaching over and grabbing a gazelle by the neck, sitting down and having a quick meal. I’m sure Disney didn’t like this idea because 114 kids running out of the theater screaming and mothers on their cell phones calling their psychoanalysts might be bad for business. That’s what happens in the animal kingdom, little fish eaten by bigger fish until that Dolphin safe Tuna ends up in your tuna salad. Today’s day of Kirsten and Jon’s wedding reception is really the Circle of Life. The human condition is unique in the animal kingdom. Well, except for Penguins. Penguins, are you kidding me? The penguin lays the egg at the south pole, then the mate sits on it for 6 weeks while the other one goes off to the spa? I couldn’t do anything likie that. If my mate left me with a baby in a cabin in Embarrass.MN in January, I might make it 4 days with a case of beer and an Atari pong game. After that, I’m hiking for a rescue party. Ok, so besides penguins, here’s the real circle of life, and this circle of life requires NO death! Yay!! Then we are our childrens, children. Teri’s emergency room trip was on May 21st, the day the world was supposed to end, in in some way did, the day of the North Minneapolis tornado. Since that day, all 4 stages of this human circle of life have been compressed and expressed by every loved one that knew anybody in our family, we see this continuing in both Jon’s and Kirstens families and it’s pretty wonderful. So today, we celebrate Kirsten and Jon, who will take Teri and my place having already become productive members of our society. I wish they would do this my way, well maybe not, but I know they will find their own way, and be more successful than we were. Congratulations kids, the world awaits!